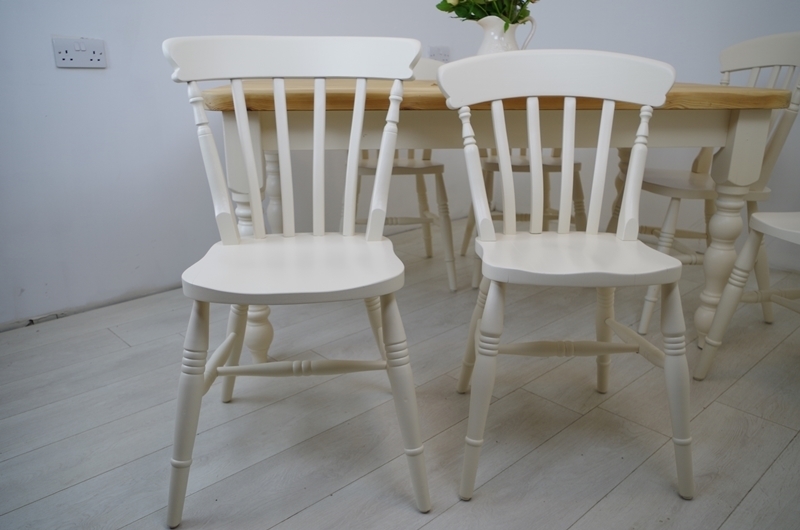 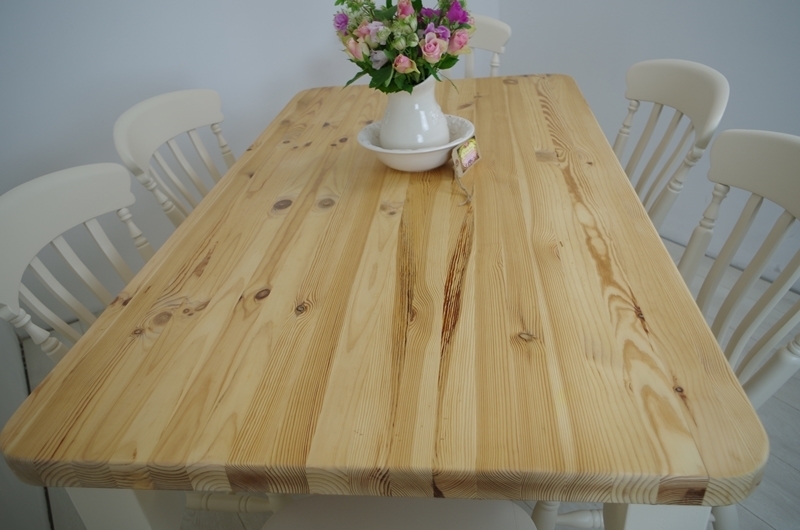 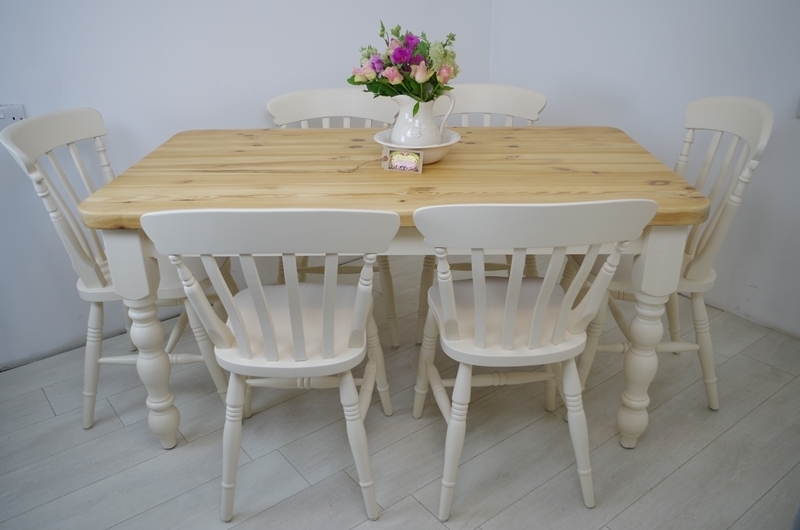 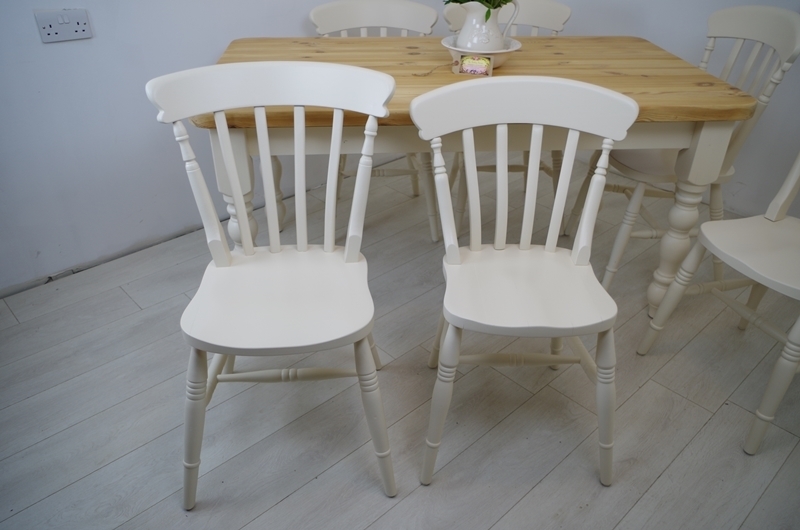 A pine farmhouse kitchen table matched with 6 beech slat back chairs, 2 of which are slightly larger than the rest. 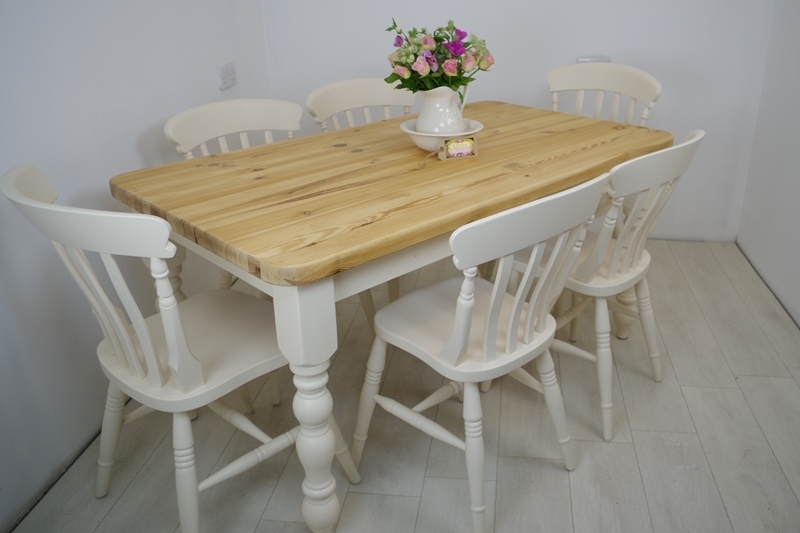 This table has a thick top and attractively turned legs. 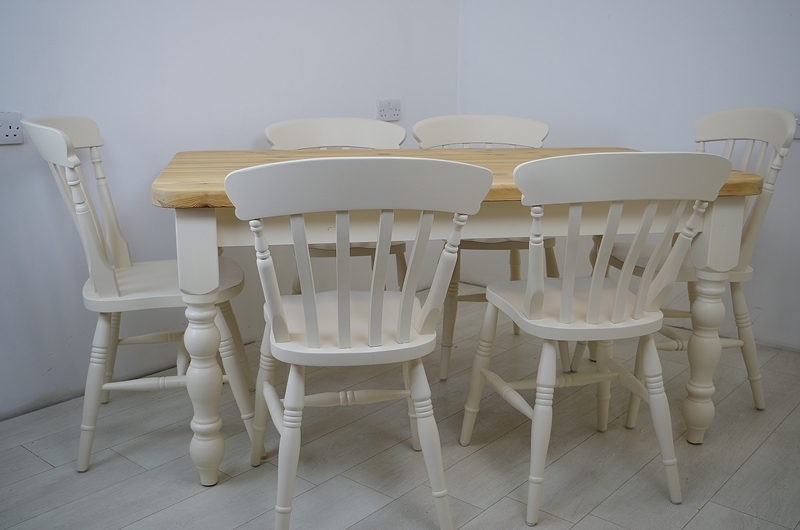 After priming and undercoating, we painted the table legs and all 6 chairs in "Pale Linen" Water Based Acrylic before applying carnauba wax. 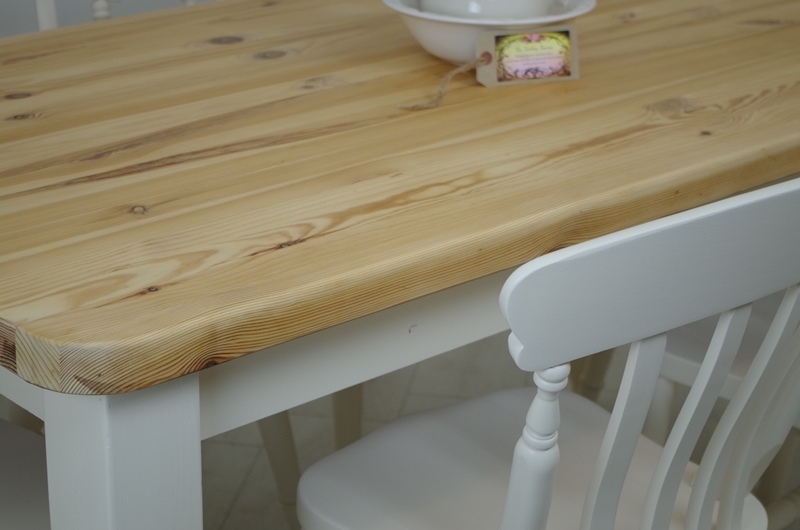 The solid table top has been sanded to remove all the factory varnish and then given several coats of matt sealer for a durable finish followed by a coat of Carnauba wax for extra protection.